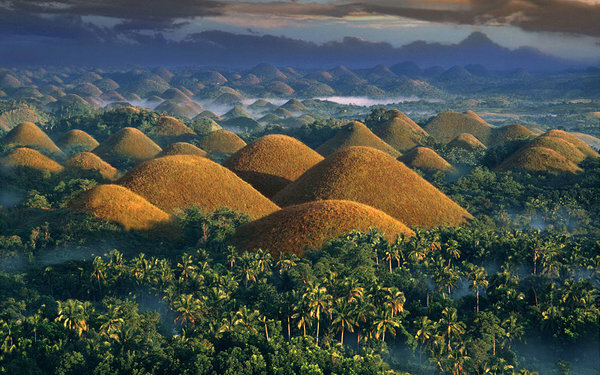 It has been said that the view over The Chocolate Hills in the Philippines is one of the most breathtaking views in the world. It’s hard to argue with that statement because those cake-like hills in the midst of an evergreen jungle really are something else. Nevertheless, I would say the best view is the mountain of chocolate on my desk. While one of those views is one of the most popular tourist attractions of the Philippines’, the other is exclusively for my personal indulgence. How does any of this concern you? Well, firstly, I like to talk about chocolate. If you have tried chocolate, you can’t blame me. But what’s maybe even better than chocolate is the fact that administrators can now choose whether they want to save a view as a public view or private view, and all views created by regular users are by default private. Is it going to make planning projects easier? One of the greatly praised features of Ganttic has always been the possibility to create different views of your resources and projects. You can only view a certain project or a location or a resources group, and choose whether you want your tasks to be colored by task or project colors or even by custom field colors. All the tools to have the best possible overview of your resources and projects. The only problem was that when you saved a view, it appeared in the planner of every single member of your team, and that might have caused a bit of drama when someone thought that some of the tasks or milestones are missing when in reality only the time settings were changed. Now that problem is fixed. Do you find it so much easier to find what you need when the resources are grouped by location and colored by projects but others don't seem to agree? Save it as a private view. Are you an administrator, and there’s a view that everyone should see? Save it as a public view. It’s really that simple, and it's probably going to avoid a ton of miscommunications. So which view are you going to save as a private one first? Does it have anything to do with chocolate?